A river of light glows overhead. 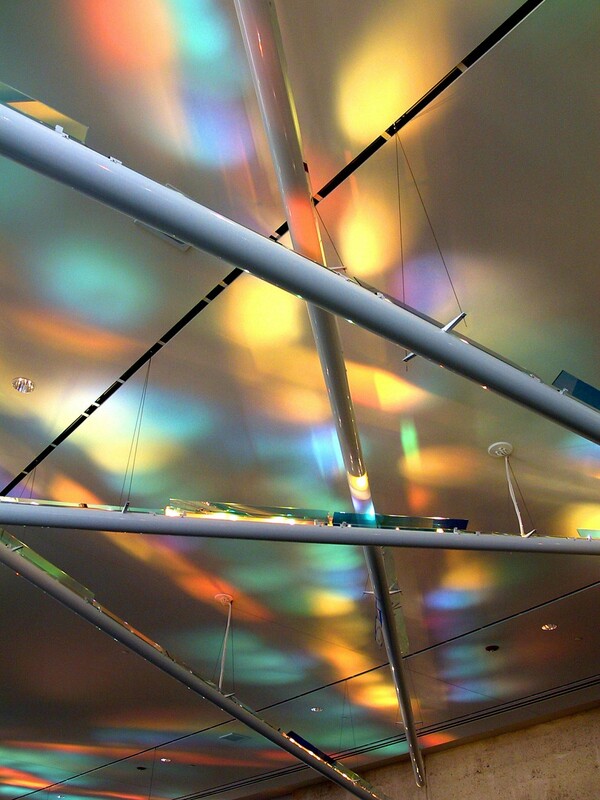 Streams of color pulse in waves of illumination. Myriad floating lines in space suggest surface and depth. Tinted skies roll with swells of luminescence. 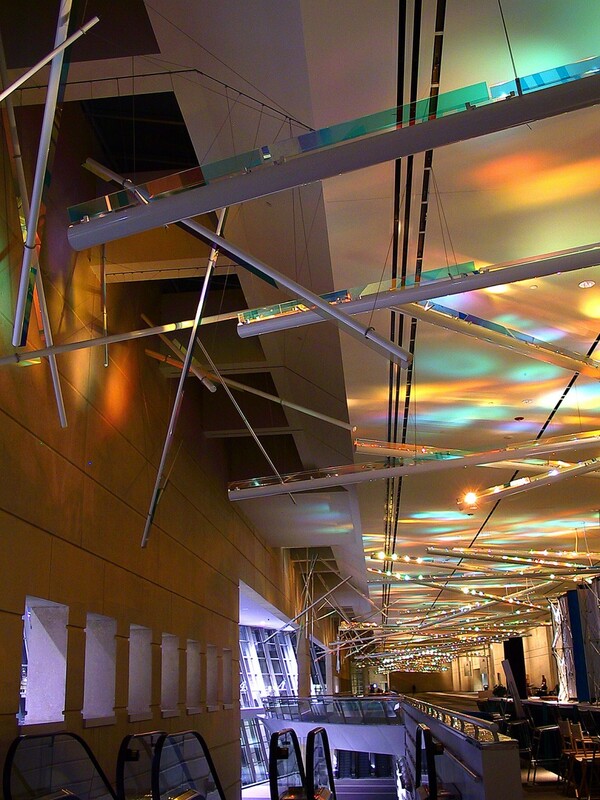 “Lightstream” is an 800′ long kinetic installation in the lobby of Dallas’ new convention center addition. 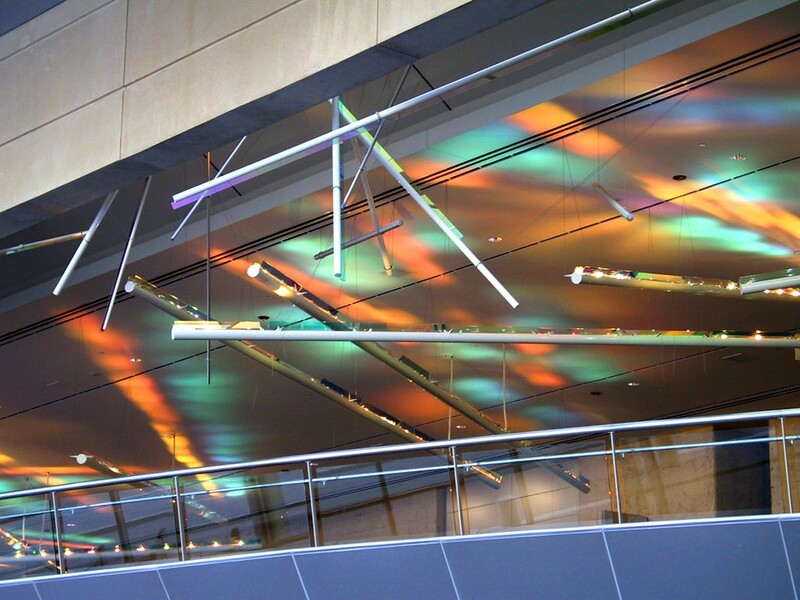 This piece builds on the power of an extremely long space by creating continuous kinetic light effects along the entire ceiling of the Convention Center expansion lobbies. 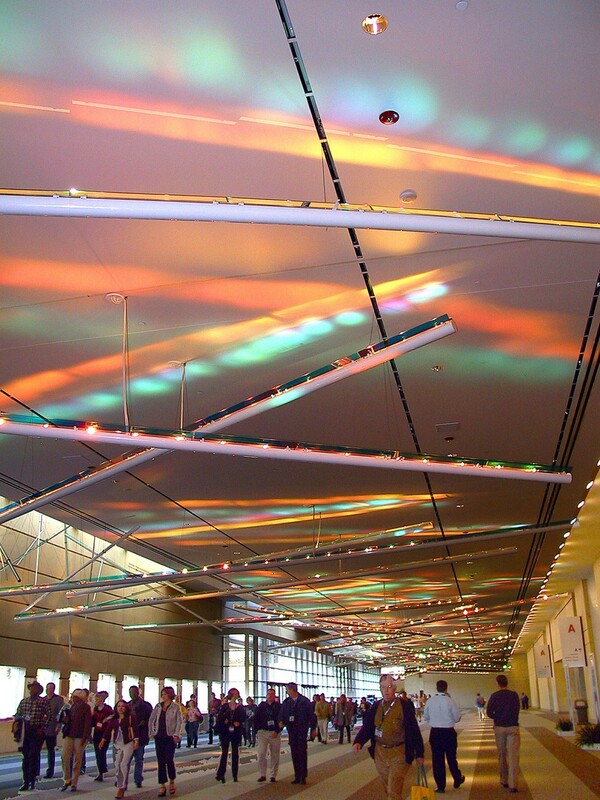 By placing scores of floating dichroic “light sticks” suspended in an apparently random arrangement, flowing pools of color are painted across the ceiling, and a feeling of continuous change and process is created. Like sticks awash in a stream of light, they create a layer of secondary texture. 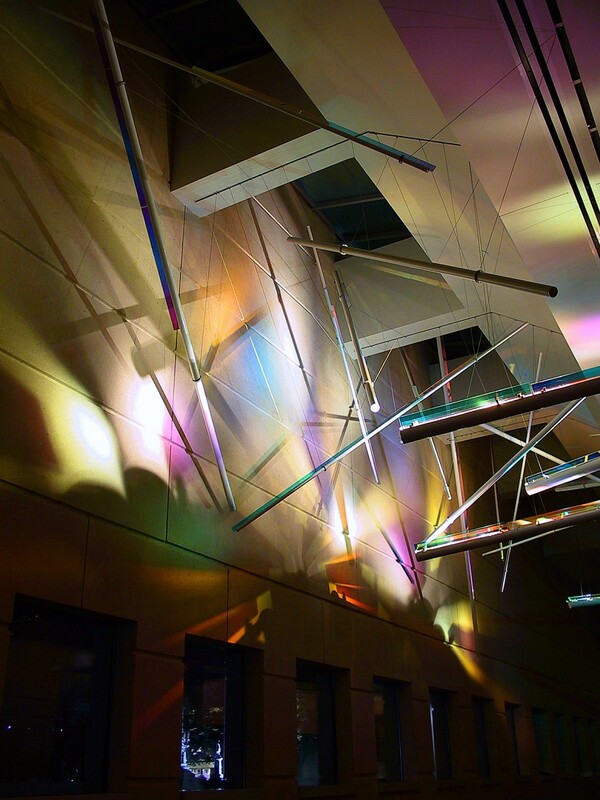 Their randomness is juxtaposed to the order of the architectural grid, downlights, and suspension elements. Order underlies chaos. 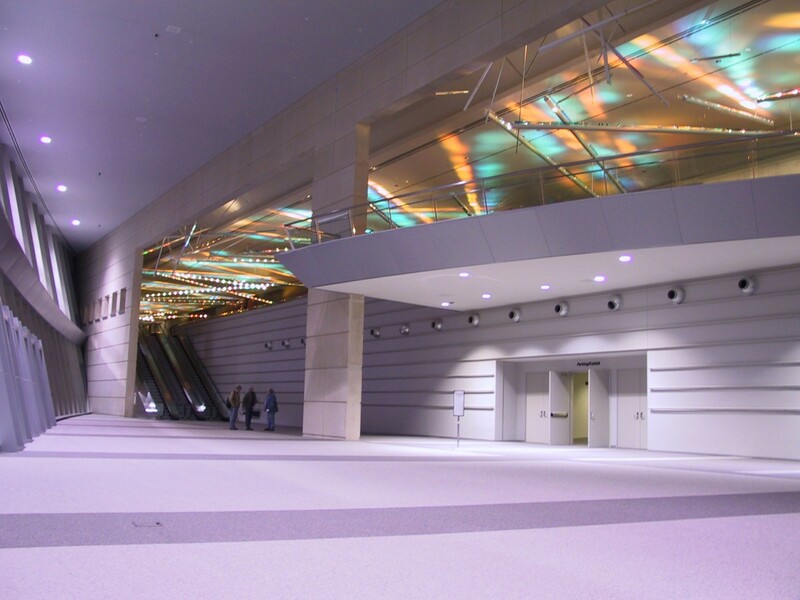 Crowds of conventioneers form an additional random element, further layering the composition. Microprocessors control the movement and fading of the light sequences in subtle watery patterns, with waves of light washing from one end to the other, or sometimes crossing in the middle, rippling like liquid in a wave tank. Like the sound of moving water, the play of light is refreshing, energizing. 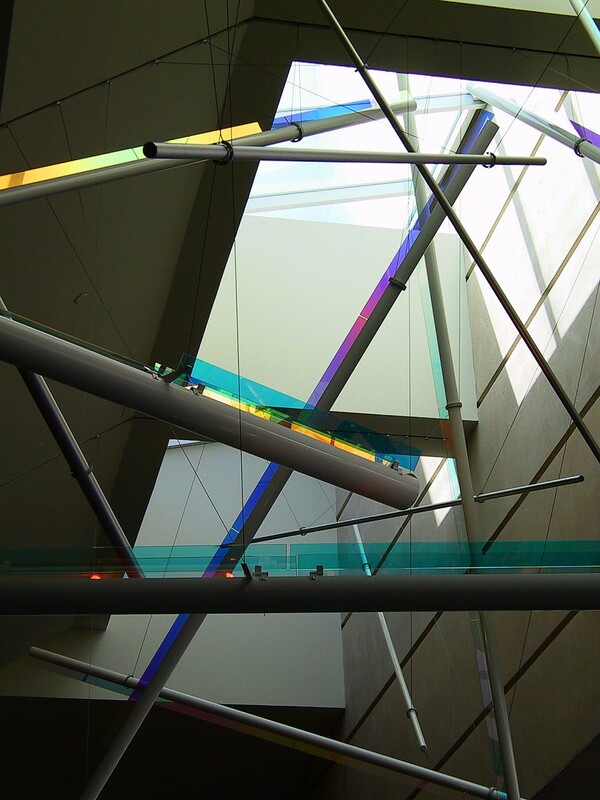 Materials: Dichroic glass, stainless steel cables & hardware, aluminum extrusions, and computerized lighting.